Having trouble pairing the keyboard with your iPhone or iPad? Follow the steps below to get up and running in less than 2 minutes. 1. Make sure your keyboard is fully charged. The first time will take approximately 2 hours. After that, charge as needed. 2. Slide the OFF/ON switch to the right, into the ON position. Check the power light. If light is flashing red you need to charge the unit. If you see no light, the unit should be ready to pair. 3. Press the Connect button. The Status light should flash 4 times slowly, which indicates the keyboard is ready to pair with your device. 4. 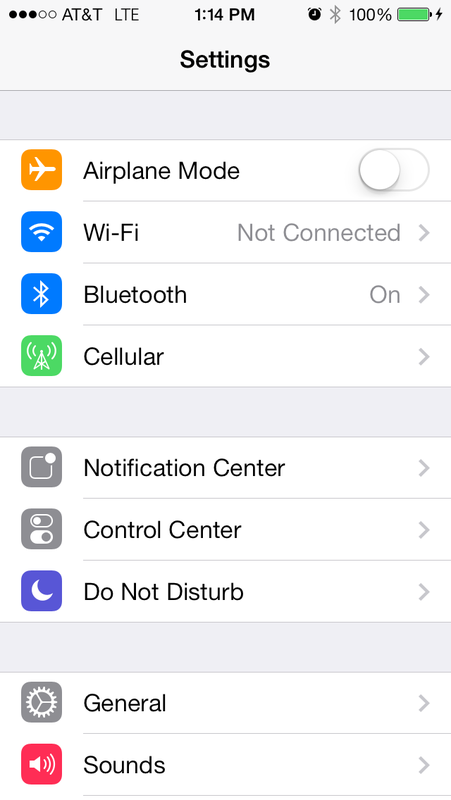 From the home screen on your iPhone/iPad, go to Settings. 5. 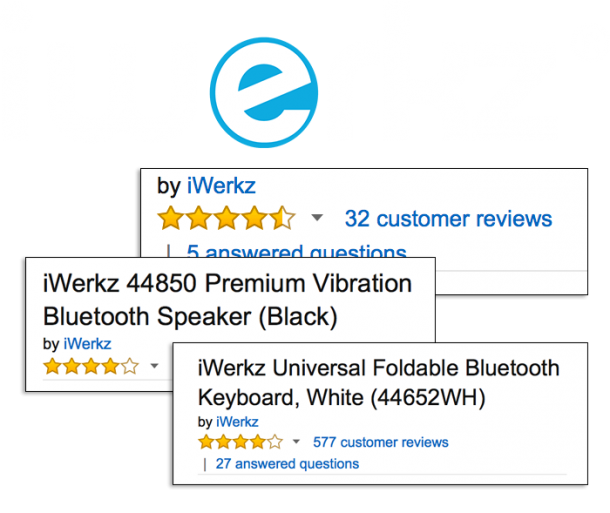 Click on Bluetooth and press ON. 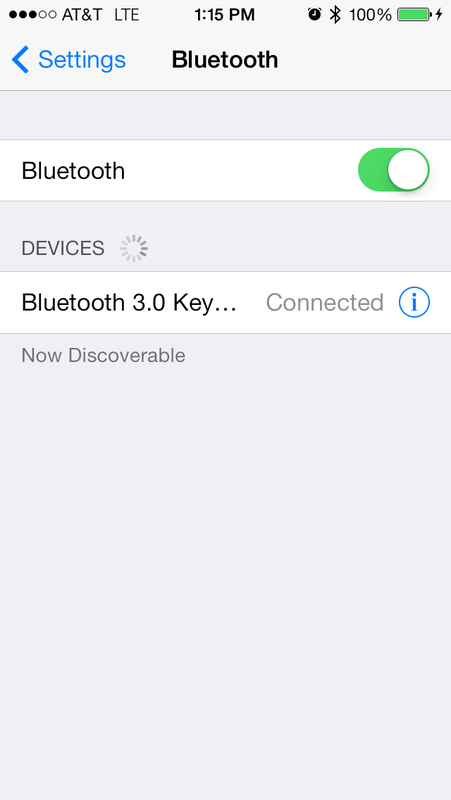 Your device will automatically begin searching for Bluetooth devices. 6. 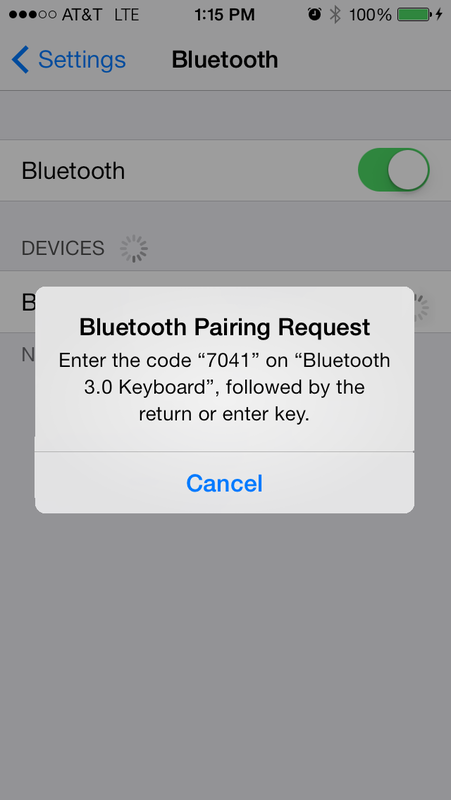 Your iPhone/iPad should list the Bluetooth 3.0 Keyboard in your list of devices. Press the keyboard name (Bluetooth 3.0 Keyboard). 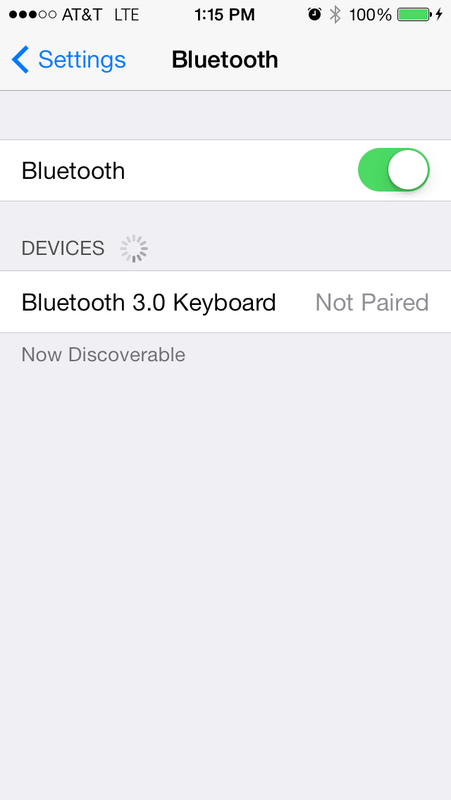 Note: if you don’t see Bluetooth Keyboard 3.0, press Connect again on the keyboard and wait a few seconds for your device to see the keyboard. 7. Your device will display a pairing code. Type this code on the keyboard and press enter. 8. You should now see a confirmation screen (see below). Success! This means you are connected and ready to type as fast as the words come to you.